I’m back in action after a very busy weekend playing a couple shows, one of which took place in a bizarre curio shop/art installation straight outta David Lynch’s brain. 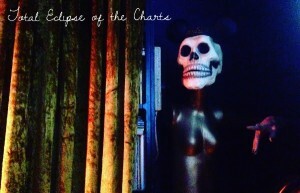 There were flickering TV screens everywhere, plastic limbs emerging from the walls, and this skeleton-headed mannequin that hovered over the mixing board. You can’t really see it from the picture, but our skeleton friend is wearing a Mickey Mouse hat with the name ‘Chris’ embroidered on it — very nice. 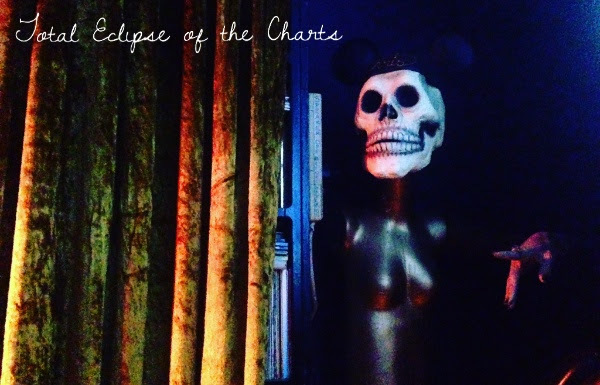 This entry was posted in Charts and tagged david lynch, specialty charts, top 30, total eclipse of the charts on January 24, 2017 by CKUT Music Coordinator.